This is the story of what happened after Fox Street. 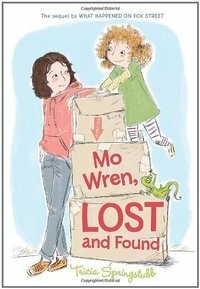 Mo Wren knew that eventually she, her dad, and her sister, Wild Child Dottie, would have to move from beloved Fox Street. She just never expected it to happen so soon. At the Wrens' new place, things are very different. The name of the street--East 213th--has absolutely zero magic. And there's no Mrs. Petrone to cut her hair, no Pi Baggott to teach her how to skateboard, no Green Kingdom to explore. She's having trouble fitting in at her new school and spending a lot of time using the corner bus shelter for her Thinking Spot. 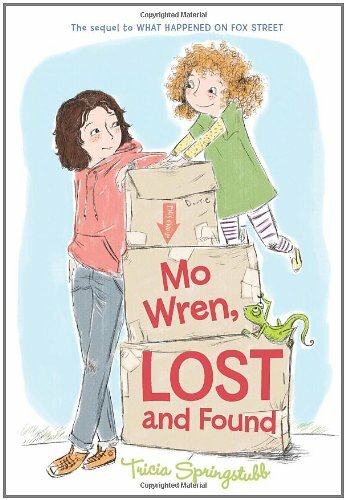 Worst of all, Mo discovers that the ramshackle restaurant Mr. Wren bought is cursed. Only Dottie, with her new friends and pet lizard, Handsome, is doing the dance of joy. For the first time in her life, Mo feels lost and out of place. It's going to take a boy who tells whoppers, a Laundromat with a mysterious owner, a freak blizzard, and some courage to help her find her way home for good.